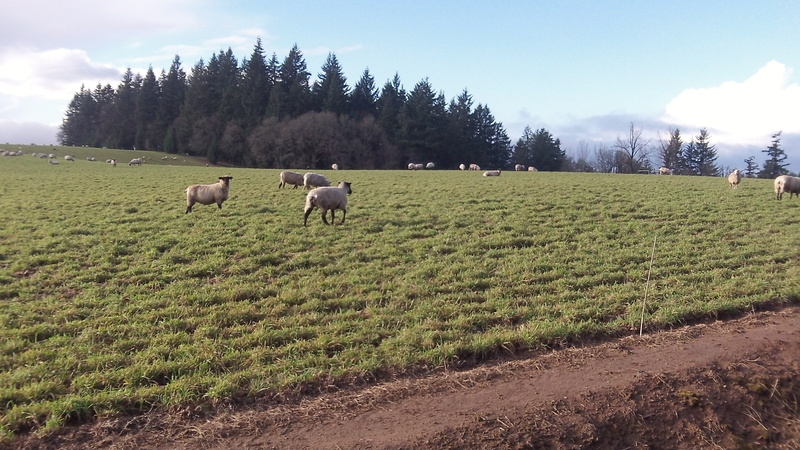 Unconcerned by weather changes, North Albany sheep graze in the December sun. Why is the weather so interesting to people, especially around here? Because it is potentially dangerous, because it affects everybody, and because it can change as radically as it did the last few days. We started with heavy rains over several days, then heard frightening forecasts of damaging wind, lived through a relatively modest blow that knocked down a few branches and power lines, only to experience a Friday where sheep could peacefully graze on a North Albany hillside in the wan sunshine of late fall. 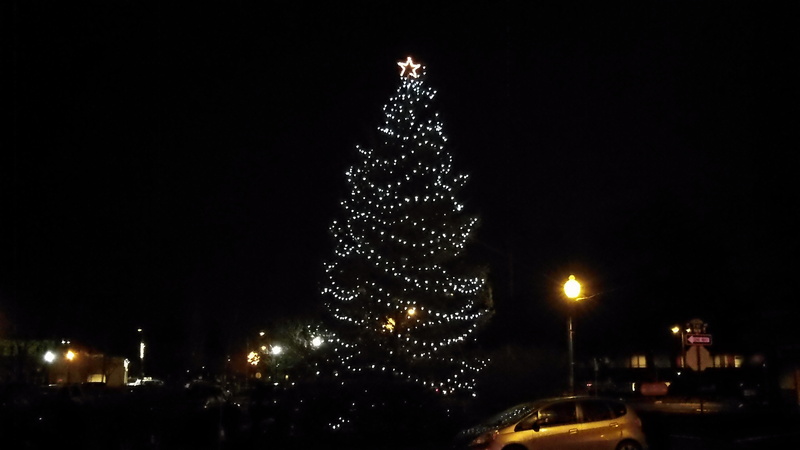 And the community Christmas tree downtown was brightening the night on Friday, seemingly no worse for wear even though Thursday’s gale had taken a little off its top. The Christmas tree at Two Rivers Market in downtown Albany on Friday night.